Ooh... makeup! : Chinovi and alien hair! Hey guys! First and foremost... HAPPY NEW YEARS! I hope everyone had a great time celebrating this last month with all the holidays! This is going to just be a quick post. I know I had mentioned previously, that I am creating my own makeup company. I decided to let Chinovi has it's own blog so this could remain my personal one. If you are interested in follow my other blog for updates regarding my company, specials and opening, please follow me on Chinovi's blog. Now, on to fun things!! I do have a few looks to post... I just haven't had time to edit down all the photos. But here is a funny one for you. 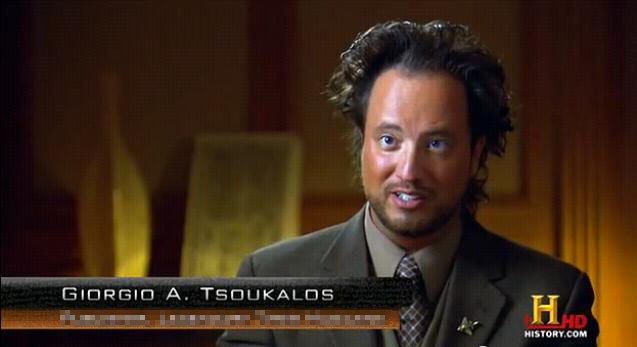 My friend Jeremy loves watching Ancient Aliens(as do we), and we all love Giorgio Tsoukalos' insane hair (it gets bigger every season and his face gets oranger). I don't know why Ling took photos from this most unflattering angle. I had fun and he had great hair... it was easy peasy... and VERY flammable. Does anyone else her watch Ancient Aliens? I'm not sure I really believe most of the stuff they say on there... but it is always entertaining!